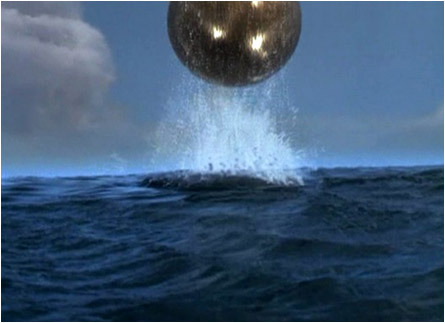 A gigantic UFO is discovered in the middle of the ocean. Actually, under the middle of the ocean. It’s determined that the spaceship, which is the size of downtown Manhattan, has been there for 288 years, give or take a work week. A team of specialists has been called in to see what up. 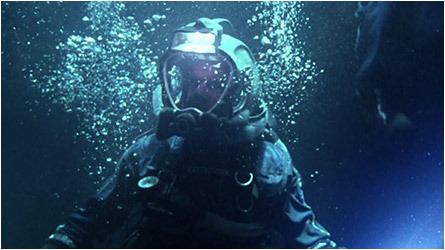 Transported via a mini-sub several miles beneath the surface, the military has already built an aqua habitat, so that they may study and blog about the UFO. All the scientists put on high-pressure swim-suits and find their way into the spacecraft. That’s weird—there are recycling bins and uneaten packs of Smokehouse Almonds™ laying around. 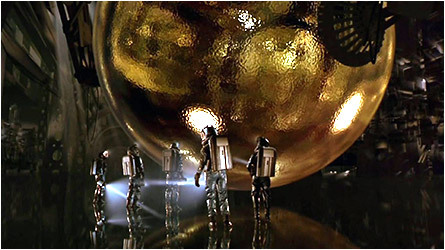 They find the ship’s log and, upon playing it back, discover the craft experienced an “unknown event,” which looks like they got sucked into a Black Hole. (Holes don’t come in any other color except black.) Exploring further, they find a gigantic gold sphere, the surface of which undulates and looks like rich man’s bath water. It doesn’t do anything except float. All that trouble and expense to find it, and the darn thing just sits there. Stupid aliens. Or are they? A binary message transmitted from the UFO is translated and they’re being greeted by an alien named…Jerry. I can believe a giant UFO has been at the bottom of the ocean for nearly 300 years, but an alien named Jerry? That’s just weird. Even more weird undersea weirdness happens: one million poisonous and extra-large jellyfish sting one of the habitat divers into swollen pudding. Then a football field-sized squid attacks the habitat and breaches the hull’s integrity. Then the place catches on fire and roasts the face off the astrophysicist. 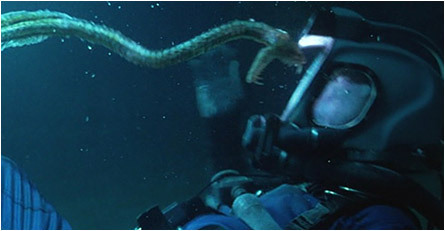 Then the Navy captain is severed in half. Then more messages from Jerry. And he’s not happy. To go any further would cause YOU mental grief as I’d have to wreck it all by telling you the spaceship is not alien, but rather a vehicle from our future and… Crap, sorry. 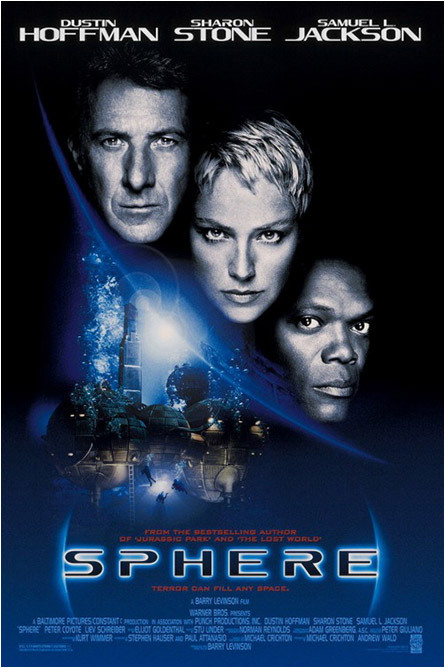 Sphere (1998) gets really intense, and while you have to pay the heck attention, clues are all over the place to explain the monster squids, toxic jellyfish, and trillions of fish eggs that look like and are the size of sea potatoes. There’s a tedious subplot involving the psychologist and the marine biologist, who had an affair (another clue). 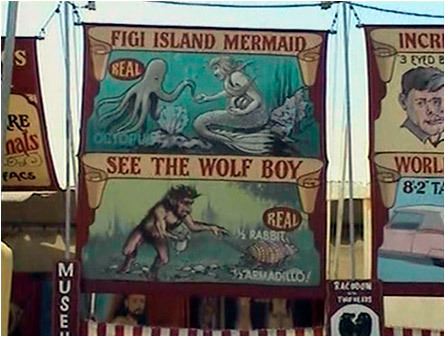 But since they don’t show any sea boobies, it’s just something you’ll have to put up with. The movie will hold your interest, though. And after you’re done, go stick your head in a sphere…it’s fun! Of all the horror genres begging for my attention/fun coupons, the ghost category has always been a fav. Not sure why. 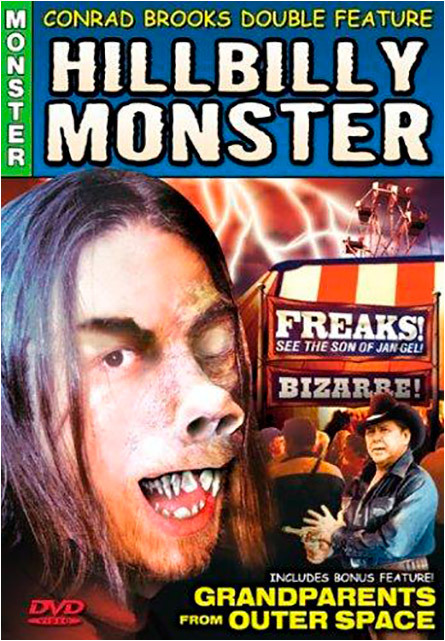 Sure, I dig giant monsters, werewolves and nature gone wild flicks. 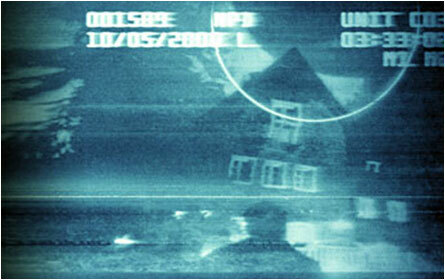 But ghosts – friendly or anti-friendly – just seem to put frills in my chills. 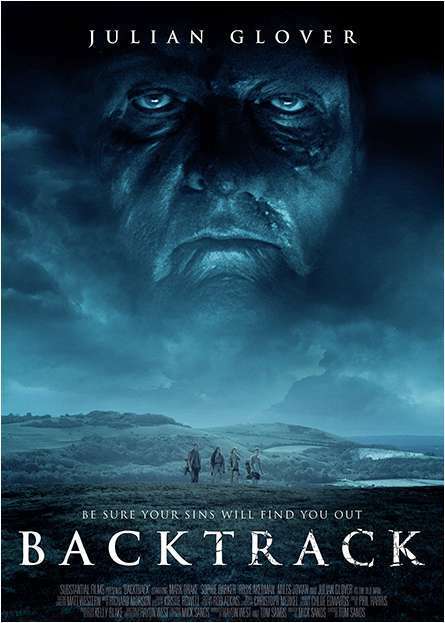 So my innards are always happy when a new ghost movie comes down the paranormal pipe, the latest being Backtrack, featuring of – get this – ghosts of dead people! I’m gasping as we speak. I could help him if he wants. I have years of dealing with spirits. Heck, I had an entire bottle of spirits last night. So yeah, you could say I’m an expert of some sort. 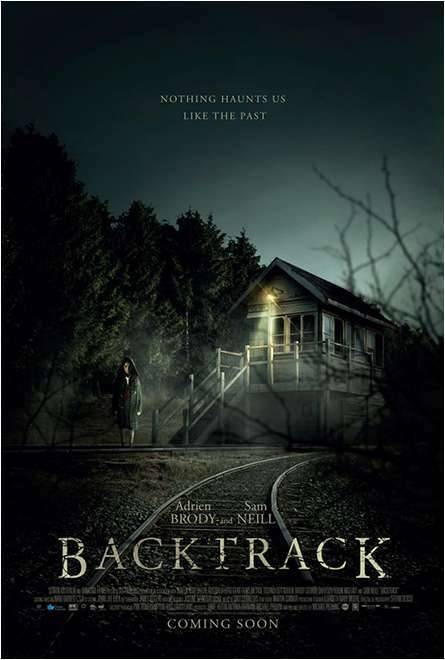 Backtrack is described as a “spine-chilling supernatural thriller in the vein of The Sixth Sense and What Lies Beneath.” No specific release date yet, but the movie’s website is saying sometime in 2015. It’s mid-September as of this digital posting, so they better get to ghostin’. Note of some noteworthiness: This Backtrack should not be confused with 2014’s Backtrack (aka, Backtrack: Nazi Regression). A psychological thriller, Backtrack: Nazi Regression features Nazis. Didn’t see that coming. 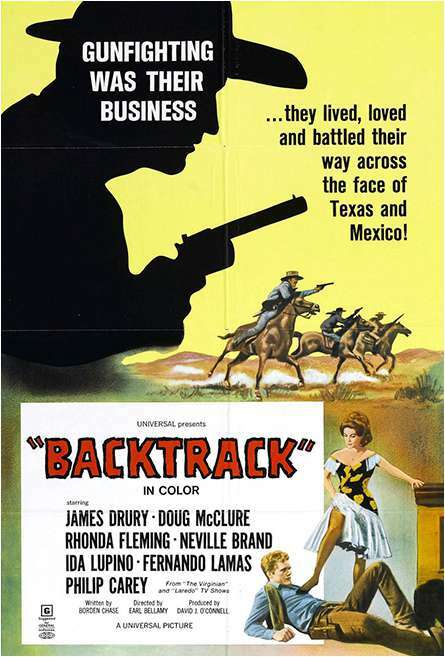 Also, avoid getting wires crossed with 1969’s Backtrack. That one features cowboys. Ghosts are way more scarier than cowboys. Unless it’s a ghost cowboy coming back from the dead to make you stain your saddle. If you live in Nome, Alaska and turn up missing, chances are you got drunk and lost in the woods and eaten by a bear. Or you were abducted by extraterrestrials. 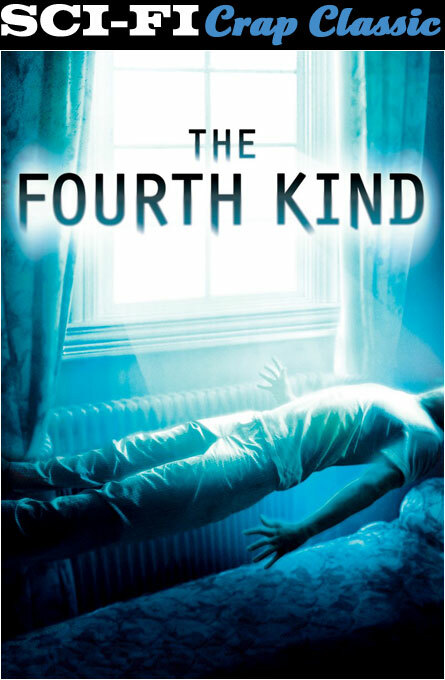 I’m split down the middle on this one, mostly due to the alleged true events The Fourth Kind (2009) proposes. Reportedly using actual archival video interview footage of psychologist Dr. Abigail Tyler, whose distraught patients are being visited nightly by an owl (not a real one, but probably evil all the same), we’re led to conclude aliens are probing for something more than oil deep within their personal tundra. And the recollection of which is so horrifying, they suppress it, thereby causing paranoid schizophrenia. This results in messed up sheets, vomiting towards the floor, and levitating from one’s bed. Might as well throw suicide into the mix as well. 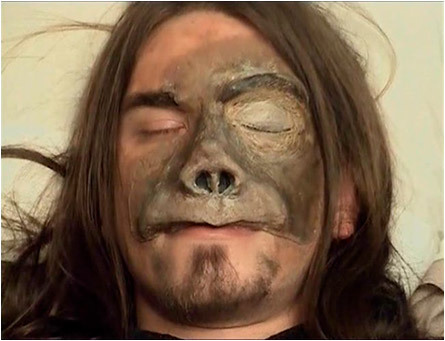 A clue as to WTF in the form of a tape played back after she fell asleep reveals that while she was screaming her freakin’ head off, another voice – using ancient Sumarian – spoke and did “things” to her body. I’m overflowing with theories. Up front they tell you they’re portraying a reenactment, mixing footage together split-screen style (pioneered by the 1973 sorta horror movie, Wicked, Wicked. )This is kind of cool and gives the movie a nice creepy “real” feel, but the story unravels to the point where you’re not sure if it really was aliens doing the dirty work, or just a smokescreen for bigger issues, like bears eating drunks lost in the woods. Like I said, split down the middle.